Hooks are provided at both ends to link the Lita Bench to other equipment. Probably the best lightweight balance bench you can buy! 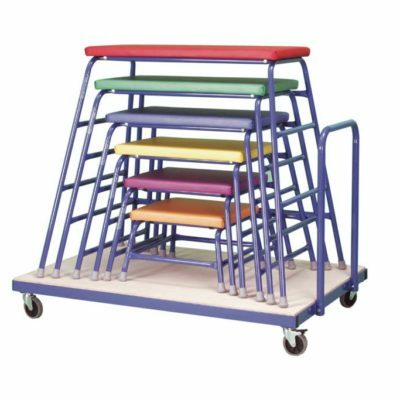 Ideal for easy movement and storage, particularly in primary schools. 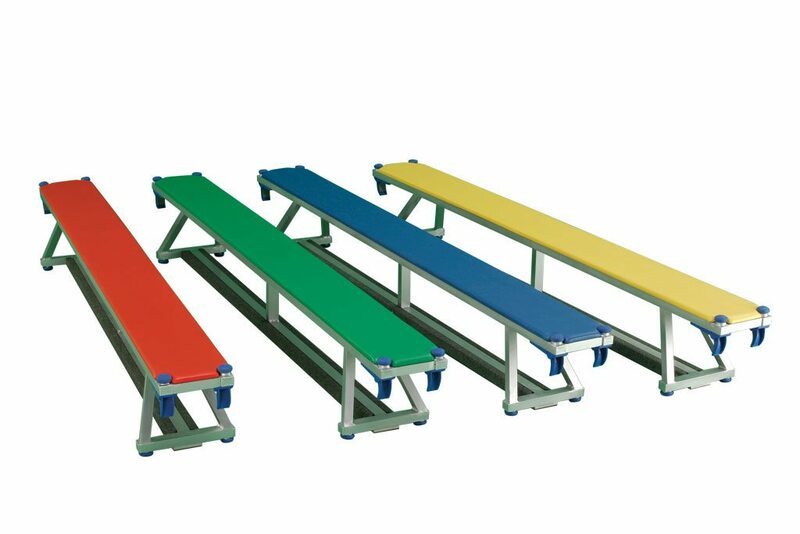 The frame is manufactured in aluminium for minimal weight and can be supplied with either upholstered or timber tops in a choice of 4 colours. The bench can also be used inverted as the base is fitted with an unobstructed 100mm carpeted balance rail. The top is protected from damage when used upside down by large specifically designed rubber feet which give excellent grip and stability.